Fridtjof Nansen was a Norwegian polar explorer, scientist, diplomat, humanist and Nobel Peace Prize laureate. 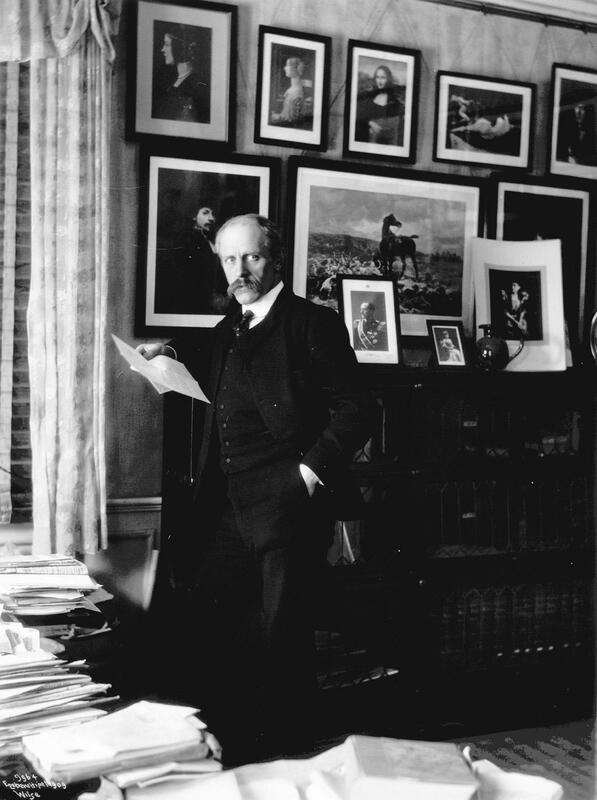 Nansen became famous in the 1880s and '90s for his exploration of the Arctic, which he described extensively in many books, often illustrated by himself. He played a key part in the successful dissolution of the union between Sweden and Norway in 1905, and served as Norway's first ambassador to the United Kingdom. Later he made major contributions to the foundation of the science of physical oceanography, and after World War I he worked extensively with the repatriation of prisoners of war and refugees, and with famine relief. This work was carried out both under the auspices of the League of Nations and on Nansen's own initiative. For his humanitarian efforts he was awarded the Nobel Peace Prize for 1922. Fridtjof Nansen lived at Polhøgda from its completion in 1901 until his death in May 1930. His grave is located in the garden in front of the manor.